The strike type of a coin refers to the particular minting process that was used to strike a planchet into a coin. There are three basic strike types: Circulation Strike (a.k.a. Business Strike), Proof Strike and Special Mint Strike (SMS). Each one of these strikes has a particular purpose that it is used for within the minting processes at the United States Mint. The circulation strike is the most common strike type used at the mint. Remember, the primary purpose of the United States Mint is to produce coins that will circulate in commerce. The mint facilities are factories. They take raw material (metal) and manufacture it into finished goods (coins). The circulation strike is the most economical and efficient strike type that the mint uses. Mint workers handle the blanks and planchets in bulk bins and bags. They do not give special attention as to how they handle raw materials as they move throughout the mint. Their mission is to make coins quickly and efficiently. Die makers produce coin dies using a mechanical process that balances quality and efficiency to produce the most coins at the cheapest cost. After the coining press strikes the coins, they fall into large bins for transport into the counting and bagging areas. Some coining presses can produce up to 600 coins per minute. This rapid production process does not always ensure the highest quality of the coin. However, the United States mint can produce over 1 billion coins per month across all of its production facilities. From there they are loaded onto trucks and taken to another facility to be packaged into smaller bags or individual coin rolls. The Proof strike is the highest quality type of strike that the mint uses. Production workers pay special attention when they are handling the blanks and planchets to minimize scrapes and scratches. The mint employees a process that polishes and washes the planchets to produce an almost mirror-like surface. After the washing process, a staff member places each planchet in a separate compartment on a tray for transportation to the coining press. The coin dies used to produce Proof strike coins are also specially prepared. The coin's devices receive a laser engraved frosting, and the fields are polished to a high mirrored surface. The coining press operator uses two or more strikes on each planchet to ensure the highest quality coin is produced. Each finished Proof coin is removed from the coining press by the operator using cotton gloves or soft-tipped tweezers. This process ensures that the coin will not be scratched or scraped until it is packaged for shipment. The United States Mint has also produced coins that have a Reverse Proof finish. Engravers at the United States mint first polish the coin die across the entire surface. A special horsehair brush is used to impart a mirrorlike finish to each coin die. The engraver then places the die in a computer controlled laser etching machine that imparts a frosted finish to the fields of the coin. This results in the devices on a coin having a mirror-like finish and the fields having a deep frosted finish. Special handling of the blanks and planchets. Special preparation of the coining die. Special handling of the finished coin to minimize scratches and imperfections. The United States Mint has used special mint strikes several times during its history. The mint produced the largest quantity of special mint strikes in 1965, 1966 and 1967. 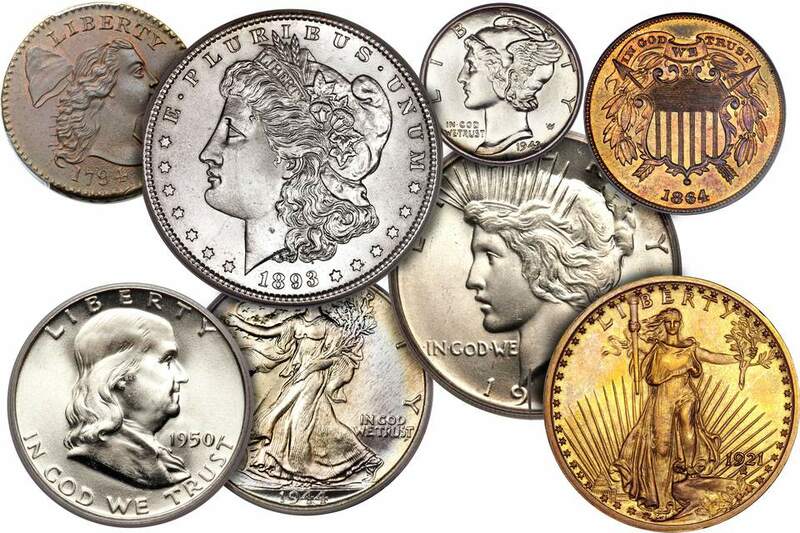 During this time frame, the United States was experiencing a coin shortage due to the rapid increase in the price of silver. The mint was under extraordinary pressure to produce coins for circulation and did not have the time to prepare the planchets and dies for Proof coins. Therefore, they produced special mint set strike coins that were marketed to coin collectors. Additionally, the mint has also produced Enhanced Uncirculated coins. Engravers produced coin dies that have selected areas of the design imparted with varying degrees of frosting. This finish enhances the finish and makes the design stand out.